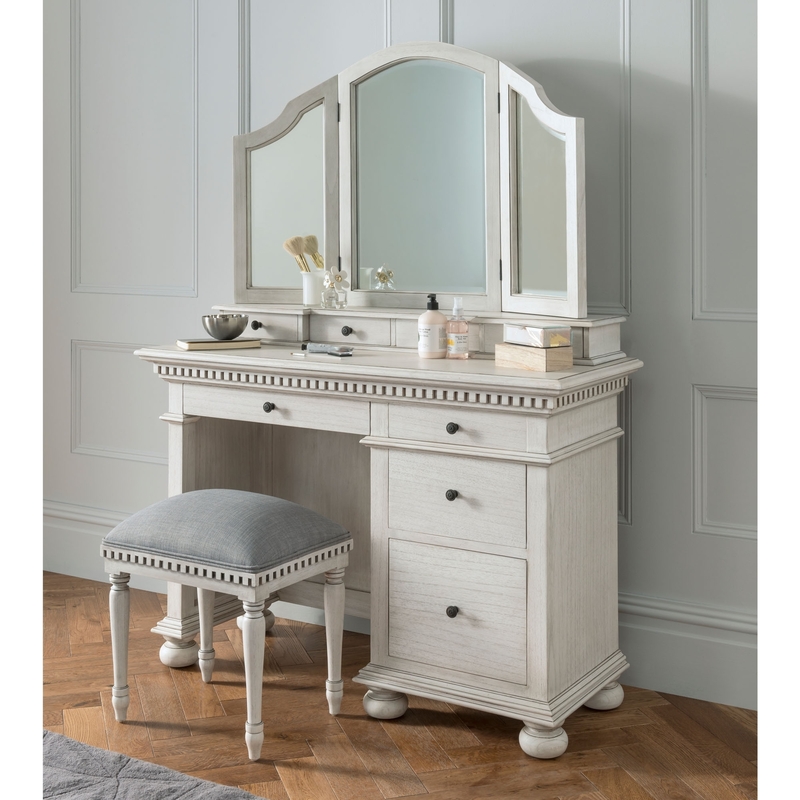 A fantastic new addition to our collection of French style and shabby chic furniture comes this exquisite antique French style dressing table set from our beautiful Bakersfield grey collection. Hand crafted to the highest quality this perfect dressing set will bring any room to life and become a centre piece of your interior. Finished in a soft grey colour this dresser features 8 drawers for all your storage needs.